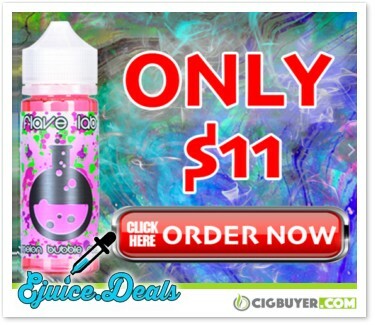 Check out this attractive offer from eJuice.Deals – get a 120ml bottle of Flave Lab e-juice for only $11.00! We’ve never tried Flave Lab e-liquid before, but they’ve been around for a few years now and apparently these flavors have been “revamped and remastered” with new 120ml unicorn bottles. Flave Lab e-juice comes in three unique flavor choices: American Dream (delicious mix of strawberries and blueberries topped with whipped cream), Custard Envy (delicious creamy vanilla custard) and Melon Bubble Rush (watermelon flavored bubblegum blend) – available at 0, 3 or 6mg nicotine.